We absolutely love playing outside, though the weather has been awfully rainy lately, it hasn’t happened as often as we would like. 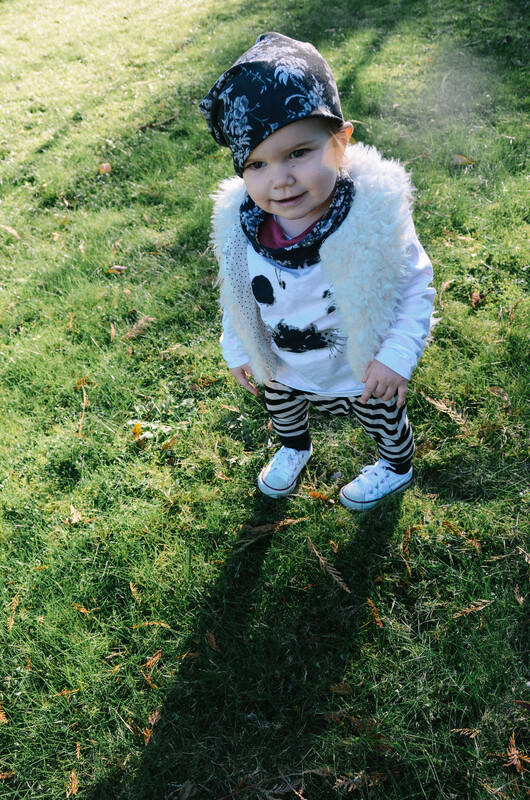 This weekend we took advantage of the sun and got to bundle up and have some fun in the crisp cool air outside. Sophie is wearing two brands that I am very passionate about. 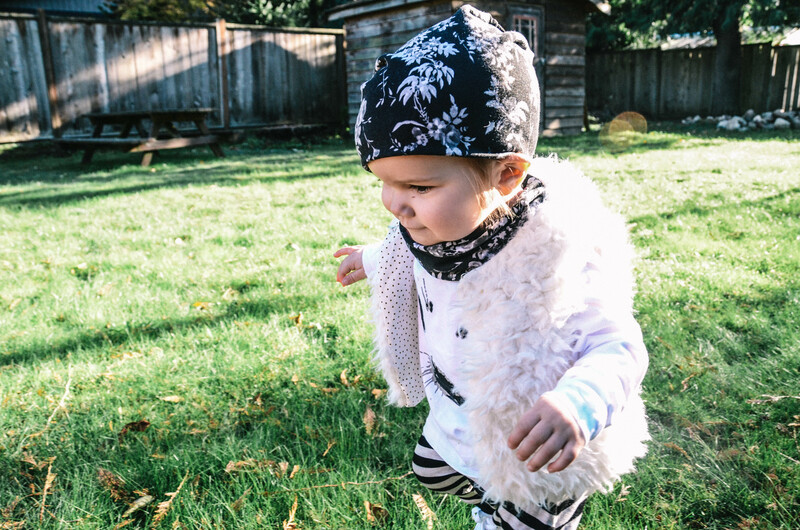 Kid + Kind and MiniEm are both small home based brands ran by incredibly talented mommas. When I first came across Kid + Kind they were just starting out, they had very unique and fun designs to choose from. It hasn’t taken them long to flourish and expand their line with incredibly cute new designs in their Fall & Winer Collection. This ‘Seal Pup’ raglan is one of the cuteset shirts my little girl owns, also one of the top complimented articles as well. It doesn’t matter where we go, someone compliments us on the shirt and how they love the look. 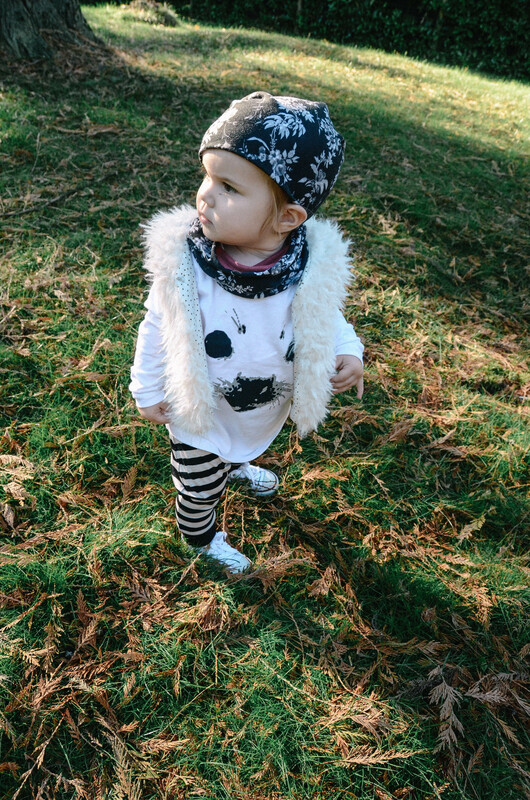 I am so happy to share about Kid + Kind and show off their brand as this momma is super encouraging and talented. Jackie creates from her soul and produces one of a kind items that are perfect for both genders to style impeccably. 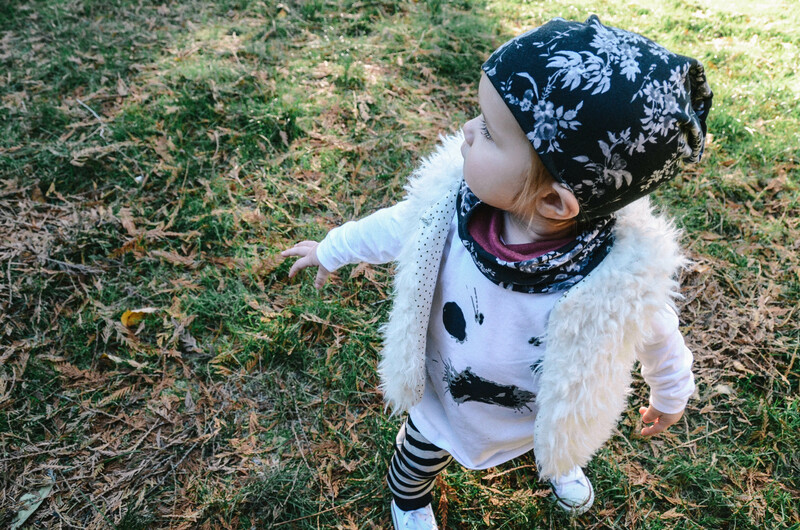 MiniEm: This momma started her handmade brand when she was searching for a slouchy beanie for her daughter, she wanted something neutral, cool and affordable. After a failed search, Chantelle decided to dig out her serger, that hadn’t been out since attending fashion school, and she began to make prototypes. Chantelle quickly began to realize that creating and producing was a very rewarding way to spend her down time, while her daughter was napping. “The entrepreneur side in me had my etsy shop open within a week,” said Chantelle. Chantelle and Emerson have so much fun filling their days with fabric store trips, photo shoots in the park, and post-office walks. Having a destination on their walks, like to the post-office, has made their trips and adventures all the more rewarding and fulfilling. Even though Chantelle is back to work as a Fashion Buyer for a Canadian retailer, she has continued to pursue MiniEm, it was something she couldn’t just put aside. Chantelle explained, “I love creating so much! Business is growing and fabric sources are getting better and better. My amazing customers are so supportive and have the cutest littles, seeing their photos makes me become all the more addicted.” The amazing community of like minded shops is something that Chantelle is very greatful for and happy to be a part of. 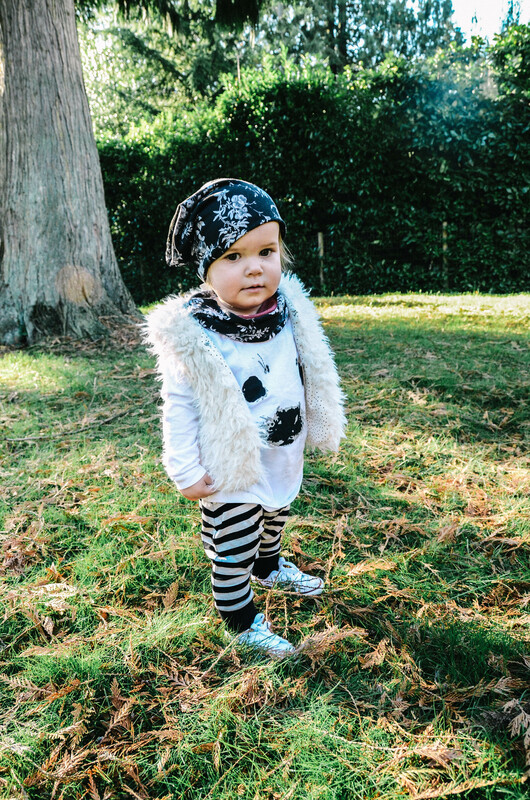 MiniEm’s stylish gender neutral clothing grow with the little ones in your life. The pants styled in this photo shoot have a waist band that is folded down, however as my little lady grows the pants can be lengthened by turning the fold up and adding an extra inch or two. I was also extremely impressed by how soft and comfortable the fabric is, my girl was not bothered at all by the slouchy beanie, infinity scarf or the pants. She was happy to be bundled up on this colder day in her MiniEm wear.